Could You Be Paying Your Credit Card Bill All Wrong? Did you know that there is a wrong way to pay off your credit card bill each month? That’s right… depending on when you make your credit card payments – even if they are for the entire balance – you could be negatively impacting your credit history. Until a few years ago, I didn’t know that people paid their credit card bills mid-month. I was shocked when I met my now-husband and learned that he paid his balance down twice a month. Why on earth would someone do this, I wondered, and is it really worth the extra effort? Let’s take a look at why some people make frequent payments, if it’s a good idea, and whether doing so could actually hurt your credit score. Why Pay More Than Once? 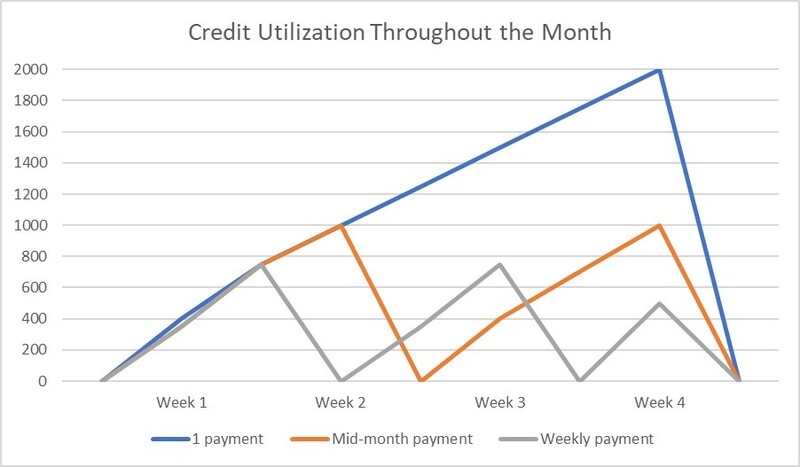 My husband’s reasoning was the same as most others who practice the mid-month payment: they want to keep their credit card utilization as low as possible throughout the month. No matter when they check their credit score, it’ll stay relatively steady, as there won’t be a big change between when their credit card billing cycle ends and when they pay it off. Take the three different spenders shown above. Each of them spend $2,000 a month on their credit card and pay it in full each month. Person 1 (in blue) racks up their $2,000 in charges over the course of the month, receives a statement, and pays it in full. They start the next month with a clean slate. This is the typical way of paying off credit card charges. Person 2 (in orange) also spends $2,000 a month. However, they clear their balance mid-month, then pay off the other $1,000 at the end of the month when their statement comes. They also start the next month with a $0 balance on their card. Person 3 (in grey) spends $2,000 like the others. However, they make a payment to their credit card each week, paying off what they spent over the last 7 days and starting each week with a $0 balance. All three avoid paying interest by paying their balance in full each month. All three also spend the same amount of money in the end. So, why would person 2 and person 3 put forth the additional effort to make extra payments throughout the month? You’ll notice if you look at the chart that person 1 has a “high peak and low valley” pattern to their chart. If they – or a potential lender – were to pull their credit at the end of the month, it would show a $2,000 balance on their credit card. If their credit limit is, say $4,000, they would have a 50% credit utilization… which isn’t a good thing and might scare away lenders. They may only be a day away from paying off the balance in full, but that doesn’t matter… what matters is what your credit report shows when it’s pulled. Person 3, on the other hand, has a much more steady pattern throughout the month. No matter when their credit is pulled, they will have a balance of no more than $500. Even though they still spend the same each month, the weekly paydown allows them to maintain a consistent credit utilization, which wouldn’t exceed 12.5% at any time (assuming they have the same $4,000 limit). So, is this really necessary… and could it actually be a negative thing? There are times when a mid-month payment can create a negative impact on your credit score, but it truly depends on the other financial activity you have going on. If this credit card is the only activity that you have on your credit report each month, paying down as you go can make it seem like you’re not actually using your credit. 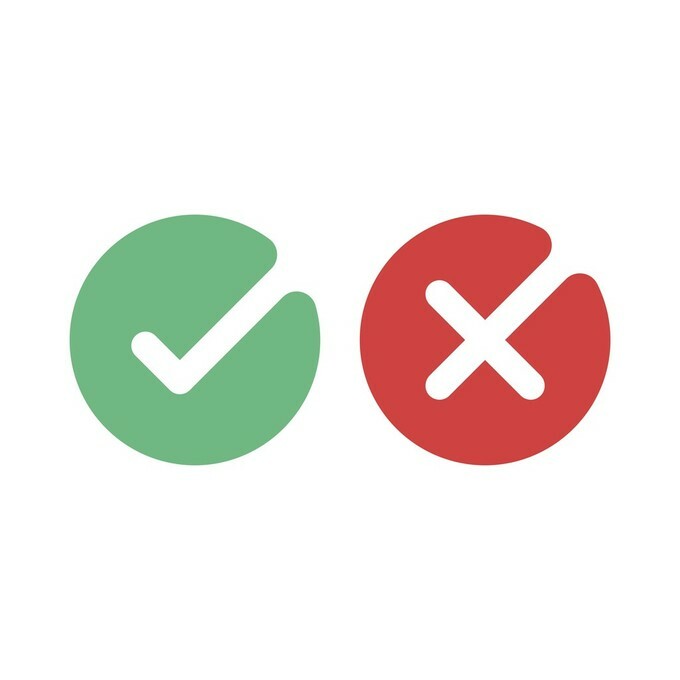 This means that your credit report won’t show evidence of you responsibly using the credit you’re given; instead, if your balance is $0 each time the credit card company reports your balance to the bureaus, it might look like you aren’t doing anything at all – even though you’re actually being incredibly responsible with your spending! The caveat here is if you are applying for a new line of credit or need your credit score to be high at a particular time, for some reason. Then, it might be worth paying off a large purchase or high utilization early, so that it doesn’t have a temporary impact on your score. So, if you just bought new furniture on your credit card and are looking to apply for a new card, get a mortgage, or other credit score-dependent action, it’s probably worth making that mid-month payment. That way, you don’t show a high utilization when your credit is pulled, and you have a better chance for approval (and a lower interest rate). Otherwise, as a common practice, there isn’t much reason for paying your bill more than once a month. If it makes you feel better to clear the balance as you go, then by all means, go for it. Just make sure that you are still building a positive credit history elsewhere, with a mortgage or auto loan or similar account. If you don’t, it could wind up appearing that you aren’t using credit at all!